Food is increasingly traded internationally, thereby transforming the organization of food production and consumption globally and influencing most food-related practices. This transition is generating unfamiliar challenges related to sustainability of food provision, the social impacts of international trade and global food governance. Distance in time and space between food producers and consumers is increasing and new concerns are arising. These include the environmental impact of food production and trade, animal welfare, the health and safety of food and the social and economic impact of international food trade. This book provides an overview of the principal conceptual frameworks that have been developed for understanding these changes. It shows how conventional regulation of food provision through sovereign national governments is becoming elusive, as the distinctions between domestic and international, and between public and private spheres, disappear. At the same time multi-national companies and supranational institutions put serious limits to governmental interventions. In this context, other social actors including food retailers and NGOs are shown to take up innovative roles in governing food provision, but their contribution to agro-food sustainability is under continuous scrutiny. 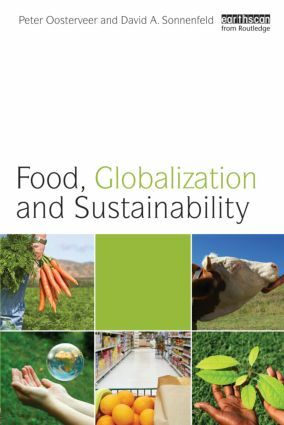 The authors apply these themes in several detailed case studies, including organic, fair trade, local food and fish. On the basis of these cases, future developments are explored, with a focus on the respective roles of agricultural producers, retailers and consumers.